Best Buy will stop selling Huawei Phones. 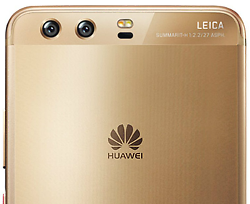 c|net – By: Roger Cheng – “It’s going to get harder for Chinese telecommunications giant Huawei to sell its smartphones in the US. Best Buy, the nation’s largest electronics retailer, has ceased ordering new smartphones from Huawei and will stop selling its products over the next few weeks, according to a person familiar with the situation. Best Buy made the decision to end the relationship, the person said. ‘We don’t comment on specific contracts with vendors, and we make decisions to change what we sell for a variety of reasons,’ said a Best Buy spokeswoman. A Huawei spokeswoman called Best Buy a valued partner. But ‘as a policy, we do not discuss the details of our partner relationships,’ she said. The move is a critical blow to Huawei, which is the world’s third-largest smartphone vendor behind Apple and Samsung but has struggled to establish any presence in the US. Best Buy was one of Huawei’s biggest retail partners, and one of the rare places you could see its unlocked smartphones in person. Huawei’s Android-powered phones aren’t sold by any US carriers, which is how a majority of Americans typically buy their phones. While on stage during his CES keynote in January, Yu acknowledged that the lack of a carrier partner hurt, but said that it was ‘a bigger blow to consumers’ who lose out on a strong alternative for an Android phone in the Mate 10 Pro. CNET editor Andrew Hoyle called it ‘a beautiful, big-screen bruiser’ that earns its place among other high-end smartphones. The Mate’s features include a front-facing camera that can shoot portrait mode-style photos and that has a beefy 4,000 mAh battery. Huawei had spent the last few years slowly building a fan base by selling unlocked phones through retailers like Best Buy, Amazon and Newegg. But most US consumers have still never heard of the company — or even know how to pronounce its name.